By the recent count in Nigeria, over three million people have subscribed to MMM and 90% of them don’t even know what the acronym MMM means and not bothered to check their history. MMM was established in 1989 by Sergei Mavrodi, Vyacheslav Mavrodi and Olga Melnikova in Russia during one of their worst economic period and hyperinflation. They adopted their surnames and derived the name MMM. The company grew very fast as people were eager to cash in and make quick returns based on the promise that they could make as much 30,000% in annual returns. 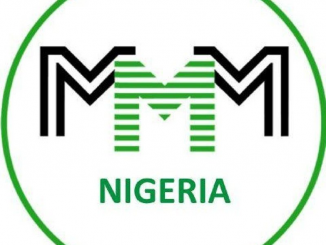 MMM founder was soon arrested for tax evasion and the company ceased operations. At this point, MMM owed their investors between $50 million and $1.5 billion. It is recorded that at least 50 investors, having lost all of their money, committed suicide. MMM is banned in China because it is believed that it is fraudulent. It operates in South Africa, Nigeria and Zimbabwe. It has recorded phenomenal growth in Nigeria because of the current recession and the fact many people are easily carried away by such opportunities to make quick money and ‘hammer’. Just like it did in South Africa and Zimbabwe, Nigerians are requested to register and invest money and after 30 days, they receive a 30% profit plus the invested money. But people really just do not realise or understand that what they simply do is take money from you to pay the next person. Nigerians must understand that the money collected are not invested in anything tangible income generating asset. For people who were born in the late ‘80s and beyond, you may not be familiar with the story of Umana Bank. Dr. Umana ran his ‘bank’ in Port Harcourt and paid his depositors 100% interest on any amount they deposited after four weeks. Customers were given the option to withdraw their principal and interest or re-invest the money for another four weeks. It was Nigeria’s first experience with wonder banks and everyone – rich and poor, wives and husbands, educated and illiterate, teachers and university lecturers and even politicians, invested their money with Umana Bank. Many people sold all they had and deposited the money with Umana Bank. It was like wild fire. As a matter of fact, many banks in the eastern part of Nigeria ran out of cash as people trooped in to withdraw their money to deposit with Umana Bank. The rest is history as Umana Bank crashed within a few months and all these people who put their faith in an unknown Umana suffered losses. Many of them could not recover from the loss and some of them committed suicide as all their savings had been invested. Umana E. Umana was arrested by the IBB government and that was the last people heard of him and his wonder bank. This is the question many people have asked. While some people believe that MMM is a great opportunity and have proceeded to invest their money, some others are waiting for their doubts to be cleared before they put their money there. First, who are the promoters of MMM and what is their history? Mavrodi was convicted of fraud in 2007 in Russia and sentenced to four and a half years imprisonment. This was many years after over 50 people had committed suicide after losing their money. He had also declared bankruptcy and disappeared for several years. The MMM fraud is considered one of the biggest financial frauds in Russia. MMM is banned in China. Second, who are their regulators? None. They are answerable to no one. This also means that there’s no insurance for your money. Should anything happen, you will be on your own. The decision is ultimately yours. But at least you are aware that MMM has a long history of fraud and Mavrodi himself was sent to prison for fraud. If your money is there already, pray that you recover the money before the bubble bursts and if you do not have money there, you should not. The truth is, sooner or later, just like Umana Bank, the bubble will burst and everyone who invested money will suffer the consequence. When investing your money, always remember that all that glitters is not gold and if it’s too good to be true, maybe it is not.